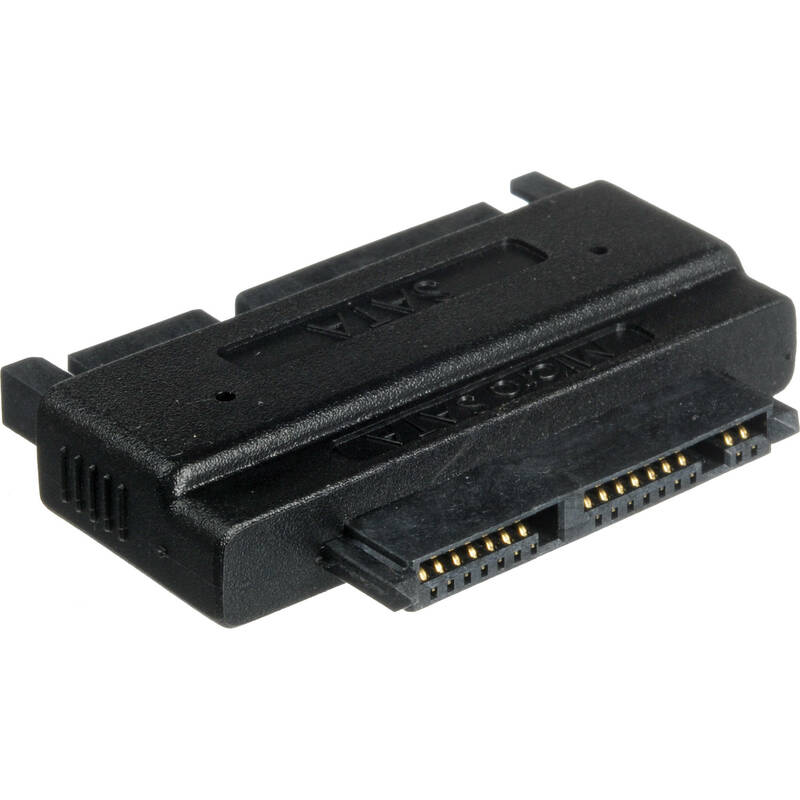 The Micro-SATA to SATA Adapter from Aleratec makes it possible to connect a hard drive with a Micro-SATA connector -- most commonly found on 1.8" SSD disks -- with a standard SATA host adapter. It supports both the power and data portions of the SATA connector, and can be used with 5V and 3.3V Micro-SATA disks. Box Dimensions (LxWxH) 4.0 x 3.0 x 0.4"
Micro-SATA to SATA Adapter is rated 3.5 out of 5 by 2. Rated 4 out of 5 by Sourdo from Does the trick I discovered that my SSD's laptop was a 1.8 disk so I needed this quickly in order to back up my data. I removed a star because it is too expensive for what it is. Rated 3 out of 5 by Anonymous from Micro-SATA - Simple Haven't had to use the adapter with my PortaCruiser yet, so I can't really say... Good quality though.